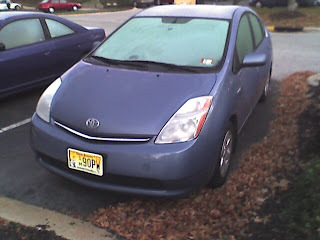 jason in jersey: Is that frost on the Pri? Is that frost on the Pri? Why yes, it is! It got below freezing last night and we had to warm up the car this morning before leaving to get the frost off the windows! What have we got ourselves into?? Remember when you were giving us a hard time about it being cool up there and hot down here...just wait!